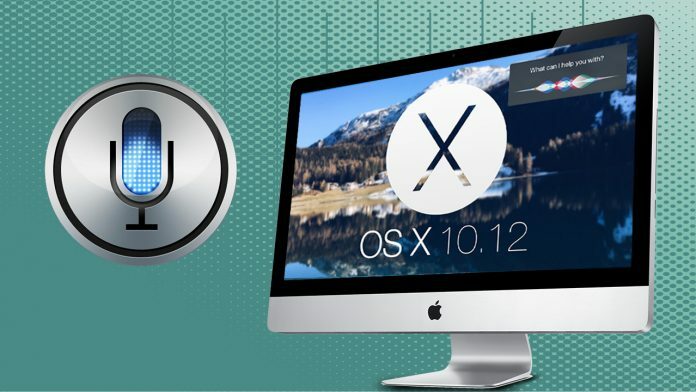 Apple currently plans to use its next major release of the Mac operating system, known as OS X 10.12, coming this fall, to continue expanding Siri across its product lines. Earlier, last year, Apple had included Siri in both the Apple Watch and new Apple TV and now it’s finally making its way to OS X. This feature has been tested by Apple internally since 2012, but now, sources are reporting that the company has finally developed a clear vision for Siri on the Mac and has achieved a polished user interface that is ready to be launched for public use. As or the release of this feature, Apple is expected to introduce OS X 10.12 in June at its annual Worldwide Developers Conference. Instead of adding Siri as a swipe menu that can be found on the mobile platforms, it will live in the Mac’s Menu Bar. Similar to the Spotlight magnifying glass icon for search and notifications icon for Notification Center, a Siri icon in the top right corner of the menu bar will activate the voice control feature. Siri on the Mac will have its own pane in System Preferences and users are said to also have the option to choose a keyboard shortcut for activating the service. Similar to the recent versions of iOS, users will be able to enable Siri at the first startup of OS X 10.12, according to sources. If the Mac running the new OS X version is plugged into power, a “Hey Siri” command will work much like with recent iPhone and iPad models. The update is codenamed Fuji and is also supposed to include minor user-interface tweaks across core system application windows, but the changes will not be as notable as those in 2014’s OS X Yosemite update. Are you excited about the much-anticipated launch of Siri for Mac? Let us know in the comments below.